Even if you haven’t heard of SkyBox Labs, you probably know some of the games the studio has worked on. SkyBox has contracted with Microsoft for years, aiding in the development of titles ranging from the Age of Empires re-releases to the Switch port of Minecraft – and the studio is a co-developer on the upcoming Halo Infinite. The developers have worked on their own original titles in the past, but they’ve got something bigger – and more beautiful – in mind with Stela. One look at the trailer for Stela will tell you the basics. 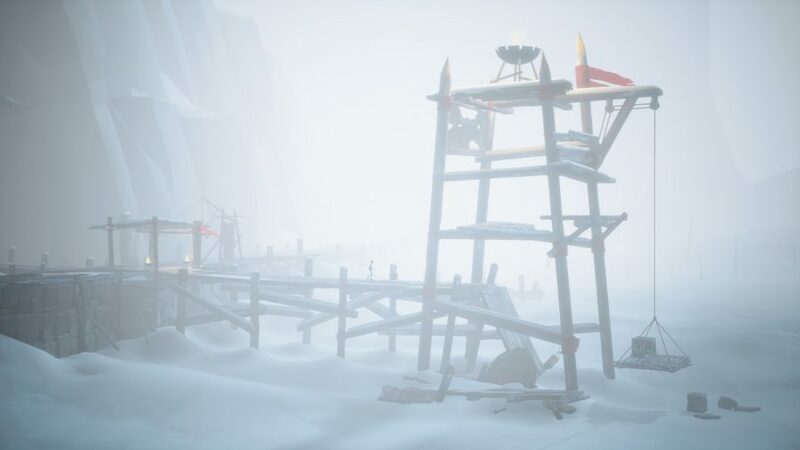 SkyBox calls it a take on the “cinematic puzzle-platformer” – or, perhaps more simply, you could say it looks a lot like Inside. You control a young woman in the midst of the “final days of an ancient world.” Exactly what caused this apocalypse or how it’s going to shake out is unclear, but it involves plenty of mysterious monsters with an intent to kill. Your only options for dealing with those threats are items in the environment, and as you might expect, most of those tools are about escape rather than attack. At the outset, you’re chased by swarms of scarabs, and if you’re caught by the horde the results are predictably deadly. In one spot, you’ve got to climb up and use your weight to pull down a shed door to stop a swarm behind you – in another, you’ve got to knock over shelves to stop swarms from pouring out of a wall. It’s familiar stuff, but Stela stands out for its gorgeous art and cinematography. SkyBox wants to play with scale and framing in a way that goes beyond Stela’s genre forebears, and the two levels I played showed a flair for dramatic framing and composition. One stage sends you running through dilapidated farmland, and the golden colours that seep through the ruined cornfields are genuinely striking – though, perhaps unfortunately, that is the part that looks most directly evocative of Inside. Stela also aims for more three-dimensional interaction, where foreground and background comes into play. It doesn’t move into full 3D control, but it does make the Z-axis a factor in what’s otherwise a fully 2D platformer. One set of areas sees you attempting to dodge monsters burrowing through the snow by staying safe on top of rocks. The monsters, visible only by the snow they displace, dart in and out of the playable plane as they track your movement, giving you concerns to focus on besides those in the traditional platformer playfield. That background play doesn’t always work, at least in this early version of the game. 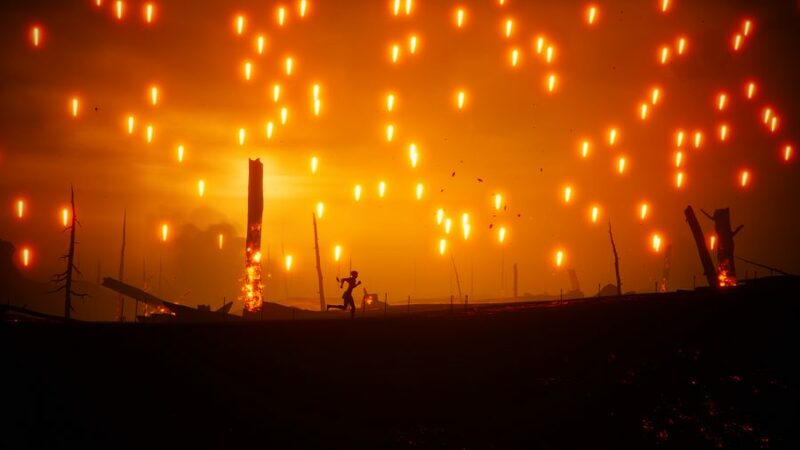 Some interactable elements are tough to pick out, which makes it difficult to understand what you can grab and pull around at a glance – especially troublesome when you’re being chased down by hordes of bugs. Perhaps the most pertinent question is whether or not Stela can stand out in the shadow of its obvious inspirations. 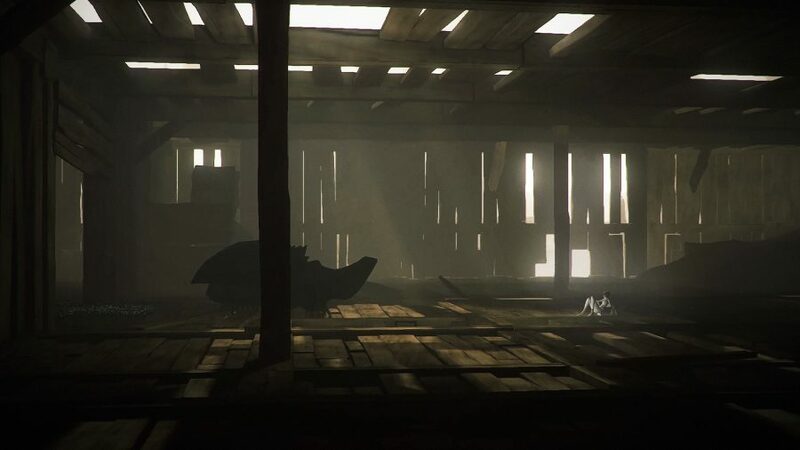 Inside is as close to perfection as a game gets – a carefully measured experience that builds up to uncountable little horrors and delights with impeccable pacing and flow. Stela has the elements that could take it there – beautiful scene-crafting and weird mysteries about the world and its inhabitants – but at this point it’s tough to tell whether those bits can come together into the sort of incredible visions other games in this genre have already achieved.